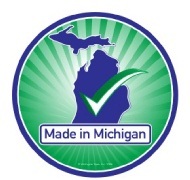 D-Miles; Products Made in Michigan, within 500 Miles of Home! Come back soon to learn about our new retail store location in Michigan. manufacturers, producers and growers within 500 miles of the Detroit area.